Homemade Nonstick Spray! Replace Your Pam Frugally! Frugal, Fitness, Food, and All Things Fun! Now when I first started doing this I did a combination of olive oil and water in a spray bottle (I one like this -> here) I used this water and oil on casserole pans, crockpots, and baking dishes with no problems!! Now when I got it, I won’t lie, it intimated me a little bit that it was a lot harder looking than my little spray bottle. All Jenn did when I called her was laugh at me an say she would show me how easy it is! She was coming over to help make a recipe any way so we busted this out and she showed me out easy it is! Hindsight I really should have at least looked at the directions before thinking it was too hard. All you do is disassemble and fill half way full of oil. 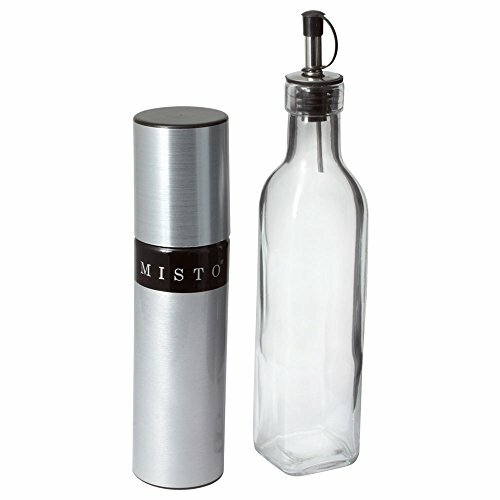 Reassasmble the Misto and then pump the lid to pressurize the oil for spraying. Now the lid gets harder to pump as it is pressurized so you can tell when it is done! I love how easy it to spray by pressing down! I plan to get another one for garlic oil for when we saute vegetables. 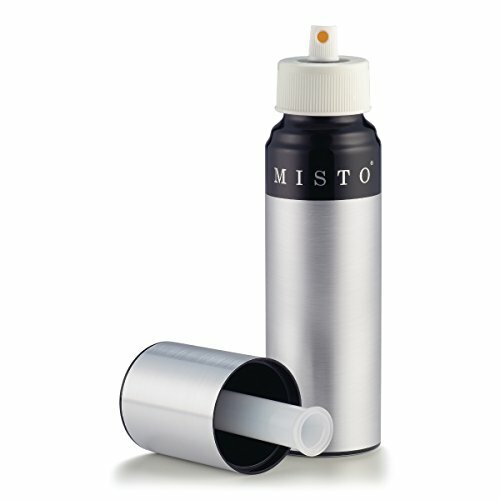 Have you used a Misto before? What kind of oils have you put in it? Hello! I am Jenny a WAHM to 3 active kids. Together we cook, save money and find ways to stay healthy as a family. Cleaning, Weight Watchers and thrift store shopping are just a few of my favorite things. This is great I wasnt sure pam was safe. Awesome! Thanks! So easy! Who knew? Easy, I might try one for crockpot and add clove of garlic in bottom to see if flavor stays in oil.???? hallelujah! maybe this can save my bakewear from all that grimy, yellow, disgusting grime that cooking spray leaves behind. I will be trying this, thanks! Awesome!!! I have been wondering how to do this for a while! I am going to try this recipe for sure. I would have never though of making this and I never buy pam because of the aerosol cans. thank you for the recipe. I never thought of making my own nonstick spray. Awesome thank you for sharing! I spend so much money per can to prevent sticking on my pans. Thanks for the recipe and I will be using it. thats a grate idea but is it ok to use on the omni diet ? i found this link when looking up omni recipes and i would love to try this but need to know if its alright 🙂 please and thank you. 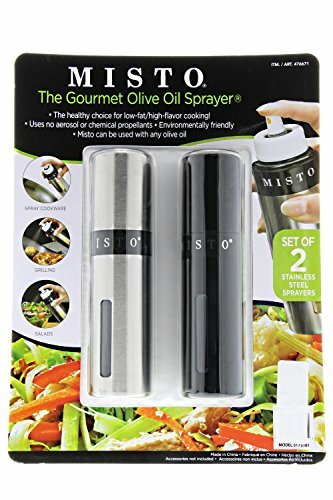 I used to keep olive oil in a spray bottle, but it stopped working and I have been forgetting to replace it. Thanks for the reminder – and the tip to thin oil with water. What a wonderful idea. Just ran out of cooking spray and instead of buying more. Thank you for sharing and Have a Fabulous Day! #Brag About It. Thank you for stopping by!! I love this spray so easy to make! I love this idea! I’m posting it to my facebook page to share with my followers. Thank you for stopping by and thanks for sharing! It is crazy how easy this is to do! How easy is this? I wonder if it could be done with coconut oil? Maybe only in summer months when the oil isn’t solid? Either way, it’s a fantastic idea. Hi Jenny! What an easy idea! I am actually out of cooking spray & now I am going to make my own. Thanks for sharing! Pinning! Never heard of this idea! So excited to try it! This spray is awesome! And so easy too. Can you use canola or another oil? Does it have to be olive oil? Believe it or not, my husband is allergic to olives. You should be able to. I have made them with vegetable oil before. This is a great recipe for people with allergies! This is such a smart idea. I love how frugal it is. This will save me tons in the future. Thanks. Wow, just saved a must try these Pam cans aren’t cheap and if I already have the stuff I need at home why not try? I will have to give this a try. I hate buying store bought sprays, they are so expensive. This will save a ton of money. Thanks for sharing! I have got to pin this and DO IT! No more non stick sprays for me now YAY! Um, wow. This is awesome! And I love how this is the post that keeps on giving. It’s cheap AND you don’t have all those fake mystery ingredients like the store bought nonstick sprays, making it healthier overall! Pinning this puppy. This is awesome Jenny! I’m going to try this right away. Is there a container “sprayer” that you have found to work really well with this?? Welcome to Cook Eat Go! Hello!! My name is Jenny, I am a mother of three and a Weight Watchers lifetime member! I share about our life on the go! See more about me and my family -> here. Get Posts Straight To Your Email! Love our content?? Sign up and get the newest posts sent straight to your email! Why You Need Armogear Laser Battle For Your Kids! !